Summer is here and so are the hot days and long evenings! It is the ideal time to enjoy a tall glass of iced tea or a bowl of ice cream. How about mixing the two and creating a new beverage for you to enjoy this summer? Come and let’s create a tea float! 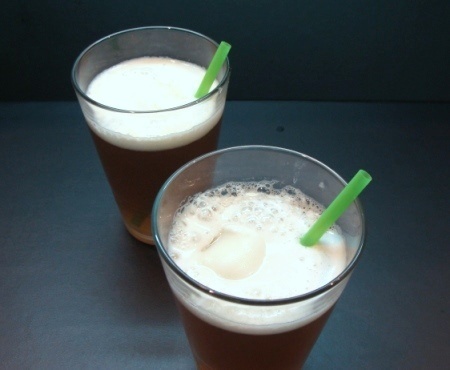 Enjoy Summer with a Tea Float! I love iced tea and I love ice cream! How to choose which to have first? Well, let’s not choose and blend the two! The ideal way to make a glass of iced tea is first to brew a strong pot of tea. Why does your tea need to be strong? 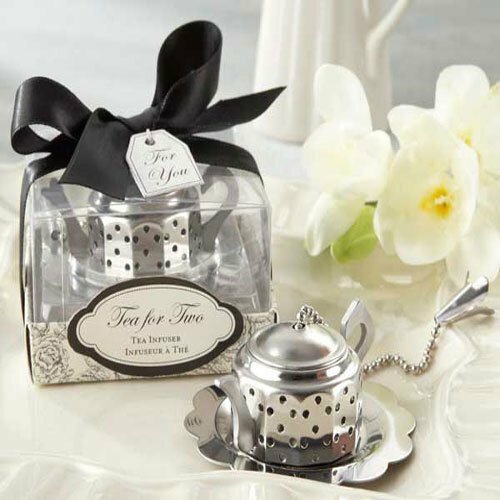 In every recipe for iced tea you are bound to read the recommendation to brew your tea using double the amount of tea leaves than that you would use to brew your favorite hot tea beverage. Tea needs to be strong because once you pour into a glass filled with ice cubes and let your tea sit this will happen: the ice cubes will begin to melt diluting your tea and its wonderful flavor. Even just using a single scoop of ice cream in this recipe, it could still dilute your tea down a bit, so make it stronger than you normally would. Note: Don’t be tempted to overbrew your tea in order to increase its strength, because this may increase the bitter components of the tea and overpower its sweet or zesty notes. This is more likely when you are using green tea. What type of tea should you use? Think about which tea will blend best with the ice cream you have in your fridge. Considering that most ice creams are made from milk or cream, it is best to choose a tea that takes milk well. In this case black teas are best suited! However, don’t be afraid to experiment, you may come up with something great and really tasty. There are so many flavors to choose from that you may not know where to begin. So let’s start with a nice plain vanilla flavor and then will go from there. 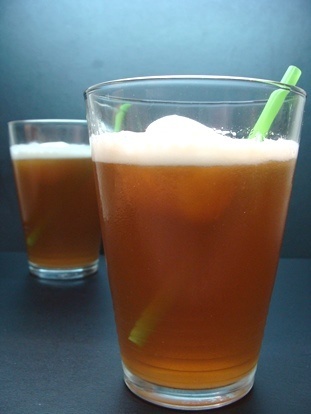 It’s a simple milky flavor that will not overpower your iced tea. Alternatively, you can work with the taste of the tea. Choose a fruity or minty flavor to match the flavor of an iced tea blend that you enjoy. As you’ll see next, this is exactly what we did. We decided to make an iced tea float with Earl Grey Tea and lemon sorbet. We placed a scoop of lemon sorbet on the bottom of a glass and poured hot tea over it. 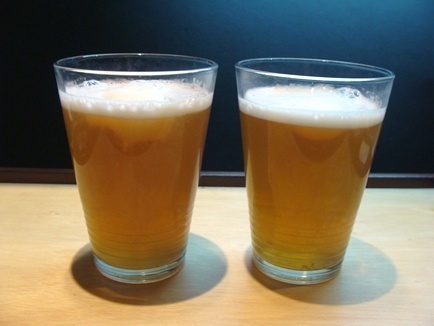 Result: FAIL - Great flavor, but not an iced tea! The sorbet melted instantly creating a foamy layer on top of the tea. The foam had a wonderful lemon flavor. Delicious! Taste: amazing, the tea instantly became lemony and the sweetness of the sorbet made any additional sweetener unnecessary. Problem: a single scoop of sorbet will not cool your hot tea. But if you ever want a hot cup of lemony tea and have no lemons in the house this is a great alternative. Again we placed a scoop of lemon sorbet in a glass and poured the Earl Grey tea at room temperature up to the brim. Result: FAIL - Not as flavorful and not an iced tea either! The sorbet took longer to melt and still created the foamy lemony layer. Taste: While the tea still tasted of lemon, it just didn’t seem citrusy or sweet enough. Something was lost when the tea was served at room temperature. 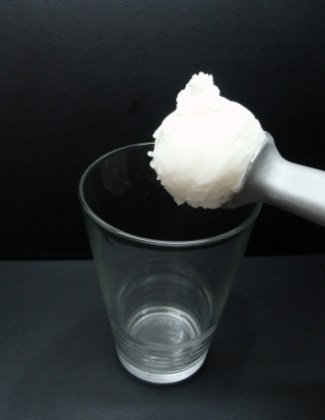 Problem: again, a single scoop of sorbet will not make your tea iced. So now you are somewhere between a great hot tea and a great iced tea, but it is neither of the two things. 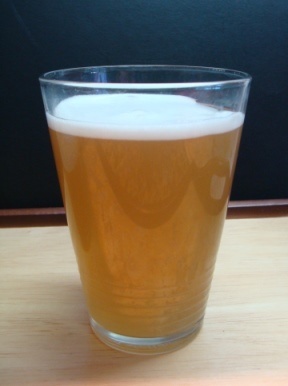 We brewed a strong pot of Earl Grey and once it reached room temperature put it in the fridge. A few hours later it was nice and cool. Note: If you choose to cool your tea faster using ice cubes, remember to brew it strong so as not to water it down too much as the ice melts. Another scoop of the lemon sorbet in a glass topped up with the cool Earl Grey tea. 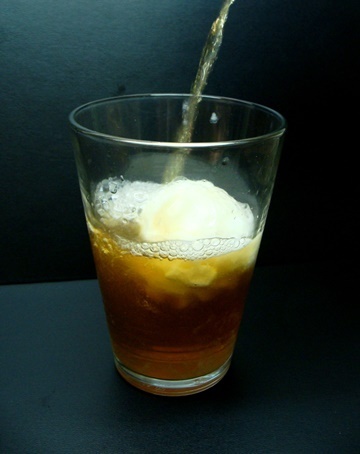 Result: SUCCESS – We achieved a tea float! The sorbet slowly melts in the glass adding little by little a lemony sweet flavor, but as the tea is cool from the fridge its taste is already pretty good. Get a straw allowing you to get at the tea as the sorbet keeps adding more flavor as it melts. You can also use your straw to mix the flavors more quickly. The sorbet will help your tea float keep cool in a hot summer day! While a single scoop may not be enough to completely cool down your tea as ice cubes would do, on the other hand it adds an instant burst of flavor to your regular iced tea. Now it is all up to you! Perhaps regular ice cream can add a milky finish to your iced tea, and what about adding mint ice cream to green tea? Use your imagination to enhance the flavor of your summer teas. 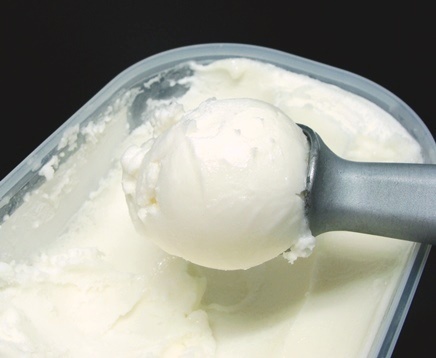 Perhaps it is best to avoid ice creams with solid particles that will not melt as they may get caught in the straw and not add much in terms of flavor. 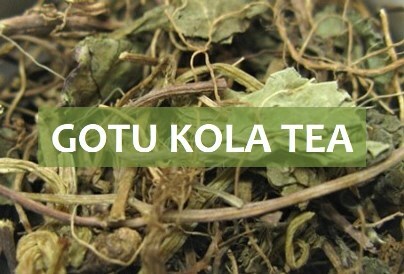 Gotu kola tea is an herbal infusion well known for its ability to bring balance to both mind and body. For centuries people have used it as a mental tonic to improve memory and concentration. Today this herb also makes an infusion that is used to fight many skin issues as well as a form of treatment for cellulite. 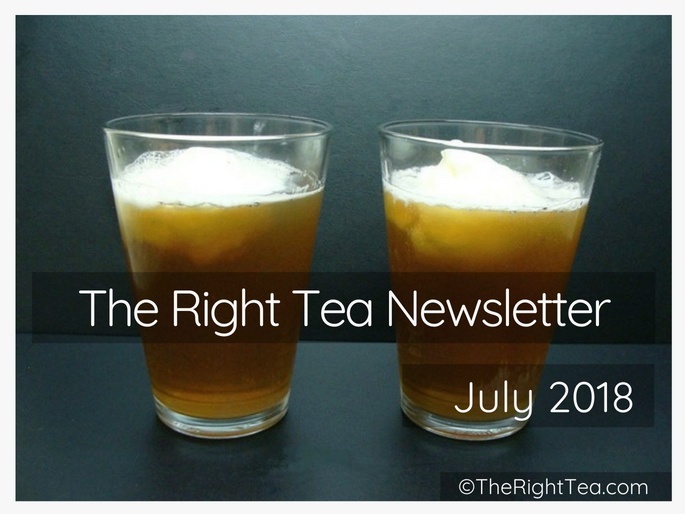 More articles about tea are coming, so keep on the lookout for the August issue of our newsletter. 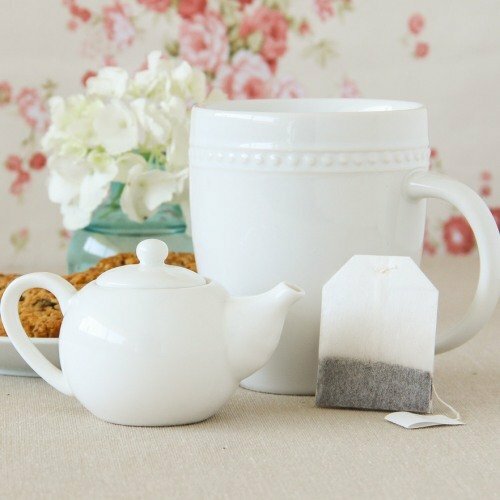 While you wait, look around our website and learn more about tea and its health benefits.